Fine, a musician himself who recently recorded a “Rockspirational” double music album, has used his scientific and medical expertise to pioneer new paradigms to diagnose and treat a variety of illnesses and conditions. But he says music can be therapeutic as well. “Music can be an integral part of creating a unique prescription of health, happiness, and hope,” says Fine, who has also created the FinerHealth, FinerLife Travelling Musical Medicine Show, which he will soon take on the road to live events. Sing to yourself even if it is just in the car or the shower. 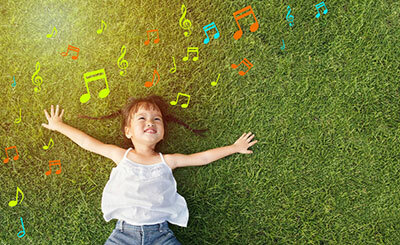 Research has shown that music not only engages the auditory system but many other parts of your brain as well, including areas responsible for movement, language, attention, memory, and emotion. The impact can be felt regardless of whether a person is listening to music, playing an instrument, or singing. Learn to play an instrument. This not only enhances your music appreciation, but will encourage you to listen to more. Learning to play a musical instrument also is one of the best exercises for your brain. Kenny Davin Fine MD, creator of Oro-Intestinal Fitness Products (www.finerhealth.com), is a gastroenterologist who has held staff positions at both Baylor University Medical Center and the University of Texas-Southwestern Medical School. His medical research has appeared in prestigious medical journals, including The New England Journal of Medicine, Gastroenterology, The Journal of Clinical Investigation, and The American Journal of Gastroenterology. He has been professionally involved in patient care, medical research, teaching, directing clinical laboratories, nutritional pioneering, and original health product and unique organic health food product development for almost 30 years. Fine is also a highly regarded singer-songwriter, guitar and harmonica player, and recording artist with 11 album releases to date. He has worked in the recording studio with Grammy and Oscar-winning producers, including Michael Lloyd, Niko Bolas, and John Hampton. He proclaims he is the world’s only Physician-Musician on a Mission!